"Dry eye," or keratoconjunctivitis sicca (KCS) is an inflammation of the eye that commonly occurs in some breeds of dogs. 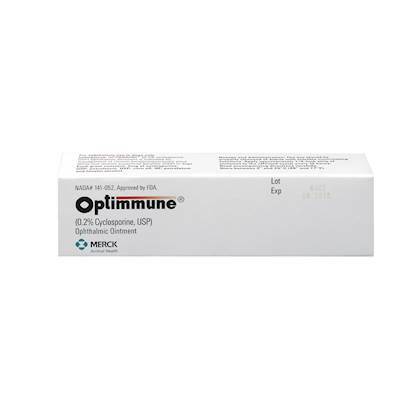 Optimmune Ophthalmic Ointment contains cyclosporine, which is effective in treating symptoms of this ailment. Rated 4.5 out of 5 by 21 reviewers. Great product to help with eye infections. easy to use tube. works wonders for my dogs dry e1. easy to use tube. works wonders for my dogs dry eyes. Optimmune Opthalmic Ointment works GREAT!! Excellent product! !